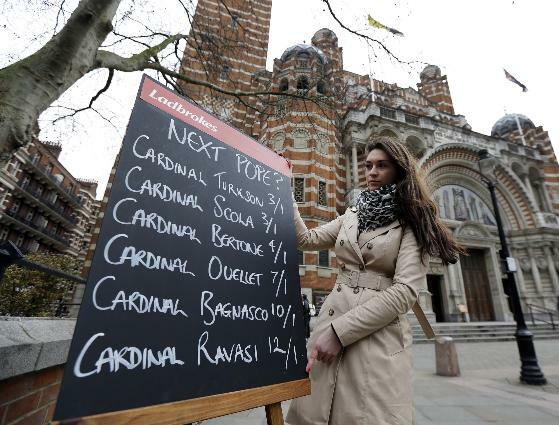 As the Catholic Church prepares to elect a pope, some irreverent souls are betting on the outcome while more religious-minded ones are "adopting" individual cardinals on a website to pray that they make the right choice. Italian cardinal Angelo Scola is by far the favourite with the odds running at just 11-to-four for bookmaker William Hill or three-to-one for Paddy Power, meaning that a safe bet on the 61-year-old would not bring in much cash. Did a Gay Blackmail Scandal Bring Down Pope Benedict?